Bolt action rifles were the mainstays of armies across the globe for nearly over half a century, and today we pick what we believe to be the five best ever fielded. The list factors in effectiveness, fun factor, historical significance, and ease of use. All five of these guns are fantastic, and we recommend you get behind them should the opportunity present itself! 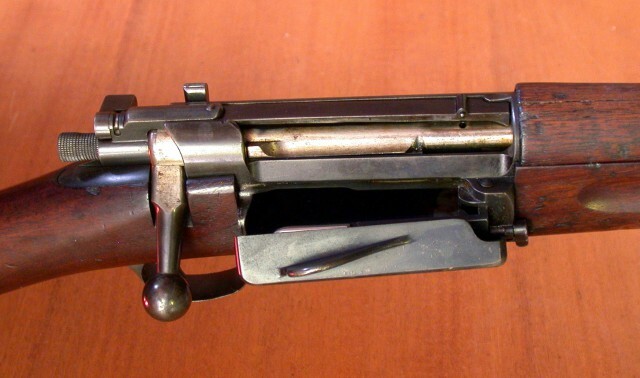 Close-up of an open American 1896 Springfield Krag magazine loading gate. In the late 19ths century, Norwegians Ole Herman Johannes Krag and Erik Jørgensen designed the Krag–Jørgensen, a repeating bolt action rifle. This design allowed it to be topped off, without having to open the rifle’s bolt. The Krag–Jørgensen is valued by shooters for its smooth action and is a popular rifle among collectors. Short Magazine Lee Enfield Mk I (1903), UK. Caliber .303 British. From the collections of Armémuseum (Swedish Army Museum), Stockholm. The Lee Enfield is a bolt-action repeating rifle with a ten round box magazine. 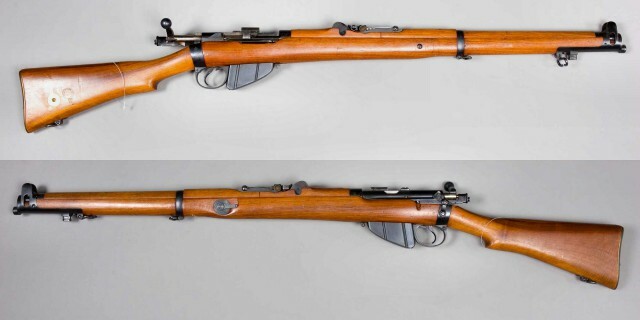 It was the main rifle of the British and Imperial troops from 1895-1957, though it remained in service until the 1990s. Even now it remains in service in many Commonwealth nations The Bangladesh Police use it, as do the Canadian Rangers. 17 million Lee- Enfields are used throughout the world. The rifle takes its name from its designer, James Lee, and factory in Enfield where it was made. 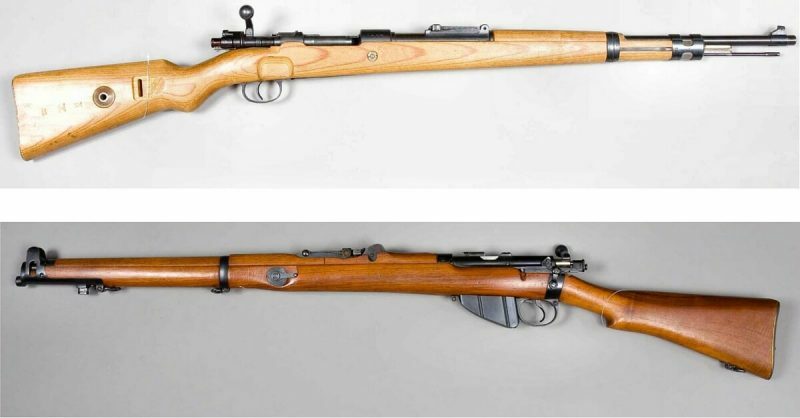 The Karabiner Model 1931, or K31 has been in use with the armed forces in Switzerland from 1933 until 1958. The K331 is a magazine-fed, straight-pull bolt action rifle, chambered for the 7.5×55mm Swiss Gewehrpatrone 1911 which is loaded in using a 6-round removable magazine.